©2014 OneWheaton. All Rights Reserved. Not affiliated with or sponsored by Wheaton College in Wheaton, Illinois. Duh. 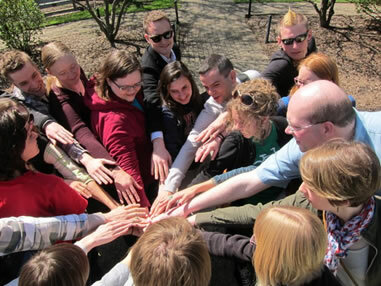 A community of lesbian, gay, bisexual, transgender, queer, questioning and allied (LGBTQ&A) alumni and students of Wheaton College (Illinois). OneWheaton’s mission is to be an open, inclusive, and safe community for LGBTQ and Allied alumni and students of Wheaton College (IL). We support students and alumni with compassion, counsel, and resources so that they can live full, vibrant lives. We affirm LGBTQ individuals and the relationships that are a natural expression of their identity. Inspired by the "It Gets Better" campaign and emboldened by similar alumni movements happening at other Christian universities, we have come together to be a voice of freedom and hope for students who feel that their sexual orientation or gender identity relegates them to a life of loneliness and isolation. We strongly affirm that it does not. In our post-Wheaton lives, we have traversed the contradictions we once thought irreconcilable, and we have come to view our sexuality as an integral part of who we are as human beings. OneWheaton is a grassroots network of alumni and students of Wheaton College, an Evangelical Christian college in Wheaton, Illinois, who affirm the full humanity and dignity of LGBTQ individuals. OneWheaton is not a church or a denomination and does not promote any specific religious faith or belief system. Our unity and common ground comes from our shared experiences as Wheaton alumni and as individuals who embrace and affirm LGBTQ identities and relationships. Beyond that, our religious, social, and political affiliations and convictions vary widely. We celebrate the life diversity that resides within the OneWheaton community. 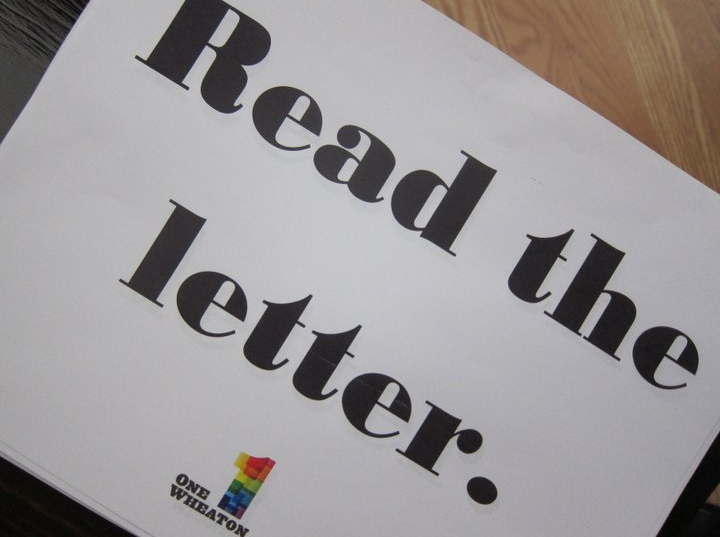 The passion that drives alumni and student involvement in OneWheaton is best expressed in the letter that was distributed on campus on April 11, 2011. Read The Letter. OneWheaton is a 501(c)(3) organization. Gifts are tax deductible to the full extent allowable under the law.